Healthy eyesight is essential to learning and achieving success. It allows us to pick up skills and also enables us to achieve our tasks. Unfortunately, at least ten in every 100 Filipino students suffer from poor eyesight. 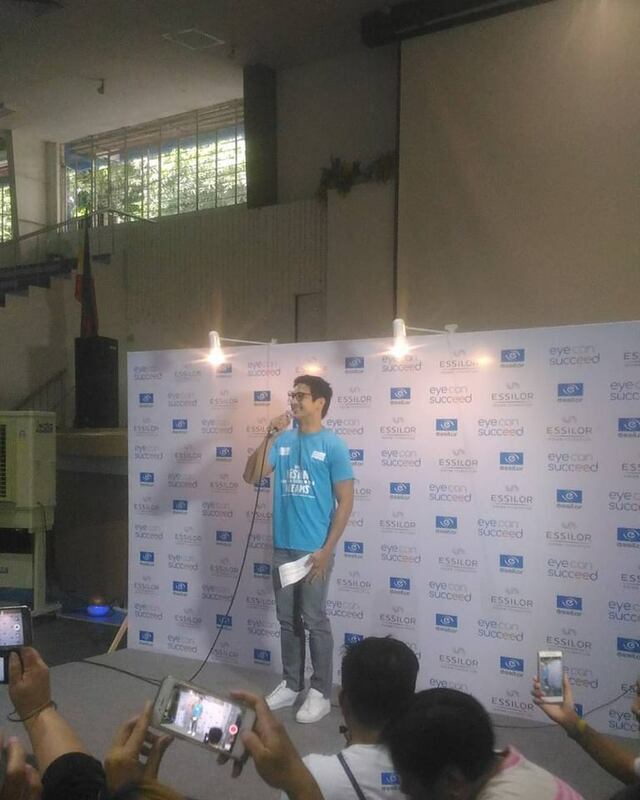 This concern has led Essilor Vision Foundation (EVF) to team up with leading actor and brand ambassador Piolo Pascual to launch Eye Can Succeed, a program geared at providing free eye check-ups and free prescription eyeglasses to help 10,000 senior high school students pursue higher education and achieve success. ` EVF kicked off the advocacy campaign at Rizal High School, which has been recognized by the Guinness World Records as the largest secondary school in the world, by having licensed eye health professionals discuss the importance of healthy vision, proper eye care, and optometry as a career option for Grades 11 and 12 students in the Science, Technology, Engineering and Mathematics (STEM) academic strand. With the assistance of volunteer optometrists, EVF examined the school’s 4,000-strong Grades 11 and 12 students and distributed free prescription glasses to students who are in need. The campaign is focused on senior high school students who are vulnerable to vision problems due to long hours of reading and exposure to blue light from digital devices like laptops and computers. They are also at a critical stage in their lives, where the pressure of choosing a career path looms before them. EVF aims to ease some of their concerns by giving them free eye examinations and eyeglasses when needed, so they can have clear vision which is critical to pursuing their studies and achieving their dreams. The Essilor Vision Foundation is committed to eliminating poor vision and its lifelong consequences, and to providing underprivileged people the opportunity to live a better life through better sight. For more information about EVF and the Eye Can Succeed advocacy campaign, please visit Essilor’s website at www.essilor.com.ph, and follow @EssilorPH on Facebook, Twitter and Instagram. The Essilor Vision Foundation (EVF) is committed to eliminating poor vision and its lifelong consequences, and to providing underprivileged people the opportunity to live a better life through better sight. Its outreach programs aim to bring healthy vision to the most marginalized populations throughout the world, focusing in particular on children and women. EVF Southeast Asia was incorporated on April 2014 in Singapore with Dr Vivian Balakrishnan, Minister of Environment as its Guest Of Honour. Following the success of Singapore, it has also launched many charity events in neighboring Asian countries such as Indonesia, Cambodia, Thailand, Laos, Myanmar and the Philippines. The foundation aims to improve vision needs for rural and under-served communities, and it continues to look for like-minded global, regional and/or local Non-Governmental Organisations (NGOs) to partner with in its charity vision initiatives which will bring greater social and economic impact to these communities.